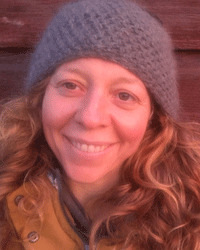 Erin Selover, MS, is a Licensed Therapist, Strategic Coach, Consultant with Courageous Leadership and serves on the Teachers Council at Spirit Rock Meditation Center. As a meditation teacher, Erin integrates systemic and cultural factors of oppression into teachings on mindfulness and compassion that are often only taught from an interpersonal and intrapersonal lens. With a passion for systemic change, Erin’s teachings broaden the field of mindfulness to look at the how Buddhist teachings can help us understand systems of oppression such as patriarchy, white supremacy, and modern economics. Through supporting students to see factors that contribute to their pain as part of a larger system, Erin helps students in decreasing shame, increasing a sense of agency, and working collectively towards compassionately changing oppressive systems within their communities. As a white woman, Erin has a passion for accompanying white people interested in integrating Buddhist Meditation and racial justice, answering a call to decrease the burden on people of color to educate white people on dominant culture. Erin currently has a strategic coaching practice where she specializes in working with female leaders, and is the co-guiding teacher of Fertile Void, a women’s meditation community in Berkeley. One of Erin’s missions is to empower women to boldly vision the world they want to live in, and then accompany them in co-creating it. Erin specializes in collaboration-based leadership and creating systems that allow the insight of our mutual inter-dependence and belonging to be realized. Erin is a Licensed Marriage and Family Therapist and previously worked full time in private practice integrating Buddhism, Somatic Experiencing and Dialectical Behavioral Therapy. She was also a core team member of the group that co-founded Inward Bound Mindfulness Education (IBME) and is a long-time trainer and mentor for the Stepping Stones Project. For more information, visit www.erinselover.com.